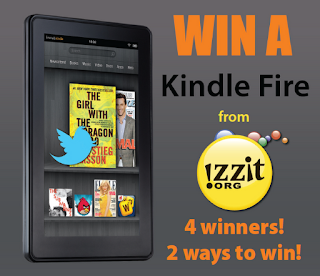 Don't forget that our Kindle Fire giveaway ends Saturday, December 1. On that day, any registered izzit.org members who have ordered a DVD this school year and are also following us Facebook or Twitter or are izzitPLUS members will be automatically entered to win. We will be choosing 4 winners: 2 izzitPLUS members, 1 Facebook follower, and 1 Twitter follower. So that means if you are an izzitPLUS member who "Likes" us on Facebook and follows us on Twitter, you will have 3 chances to win! So don't delay; start liking and following us ASAP to have a chance to win! Current Events - Now FREE! New DVD - Another 2-for-1!